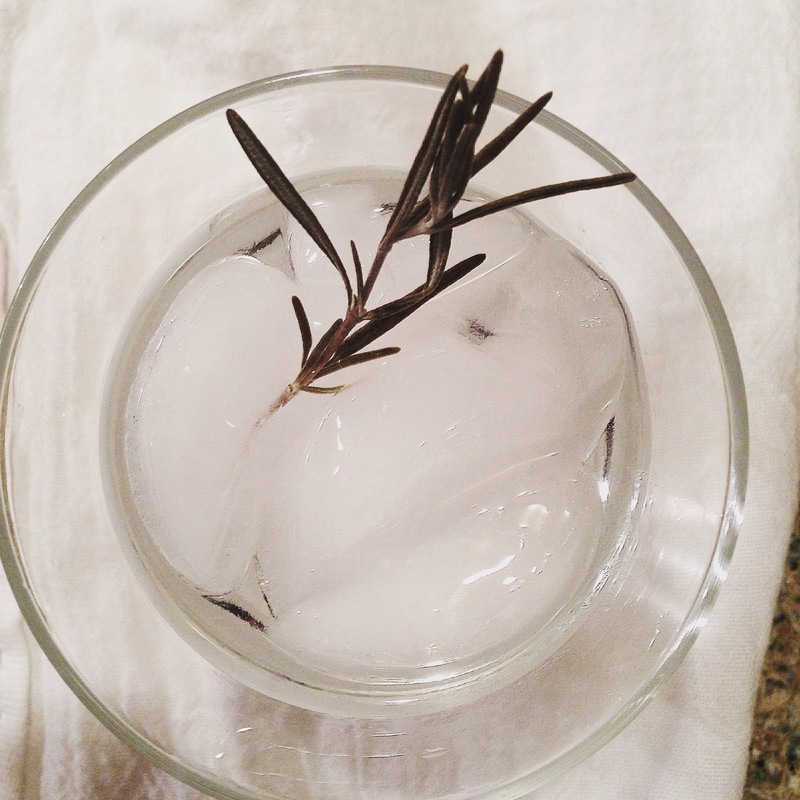 Rosemary infused simple syrup, gin, and seltzer water. Simple and refreshing. In my world, the one in which I try really hard to eat healthy foods most of the time, I also leave room for decadence. Right now I’m sort of obsessed with cocktails. I’m not talking Bud Light Lime-a-Ritas (although they serve a very important purpose in very specific situations, let me get back to you on that). I’m talking about well made cocktails using high quality ingredients. Last weekend I posted a recipe for the Blueberry Balsamic Liqueur I made. Sunday night I was lucky enough to try something called a Berry Patch which included blueberries, gin, lemon juice, and rosemary-infused simple syrup. My favorite part of the cocktail was the rosemary flavor. I got excited because I had leftover simple syrup from the blueberry concoction and I also had rosemary in the freezer that I harvested from the garden last fall. Take about five springs per cup of simple syrup and simmer both in a small saucepan on the stove for about 5-10 minutes, watching carefully that it doesn’t boil or scald. Remove the saucepan from the heat and let sit for at least 30 minutes. Strain out the rosemary sprigs and pour the syrup into a clean jar. It should last about a month or so in the fridge. Wondering how to make simple syrup in the first place? Take equal parts of sugar and water and combine in a medium saucepan. Stir the mixture over medium heat until the sugar dissolves. Increase the heat and bring to a boil. Reduce heat to medium and simmer 3 minutes. Pour syrup into a container to cool. Store in a jar in the refrigerator.